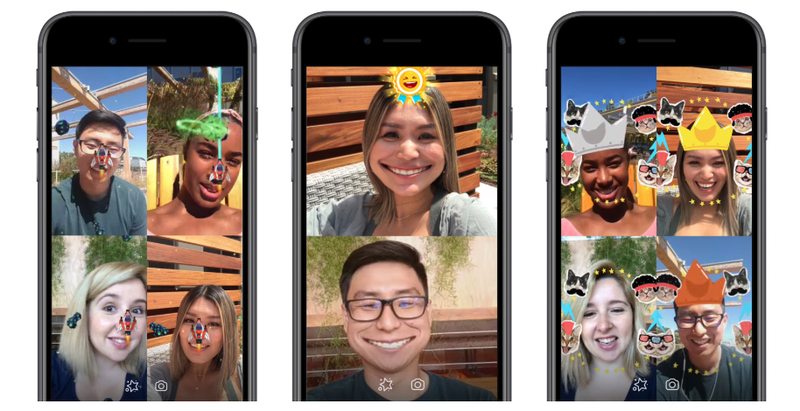 Facebook introduces augmented reality games to its Messenger application in effort to maintain and increase traffic on the social app. While a video conversation is bound to get awkward after some time, despite providing the opportunity to stay connected with your loved ones, these new simple, yet fun games, keep the users engrossed. Allowing as many as six people to play at a time, these games have the potential to make your conversations livelier. The games can be started by merely clicking on the star button present at the bottom of the screen. This will notify other members that you intend to play a game with them. There are currently two options available today: Asteroid Attack and Don't Smile. However, Facebook soon plans to add Beach Bump and Kitten Kraze to the list.